There are few disciplines more detailed, more granular, than stop-motion animation, the filmmaking technique pioneered in the late 19th century that is in the midst of a digital-age renaissance. As proof of that claim, just consider the 129,000 individual frames that comprise a 90-minute film. 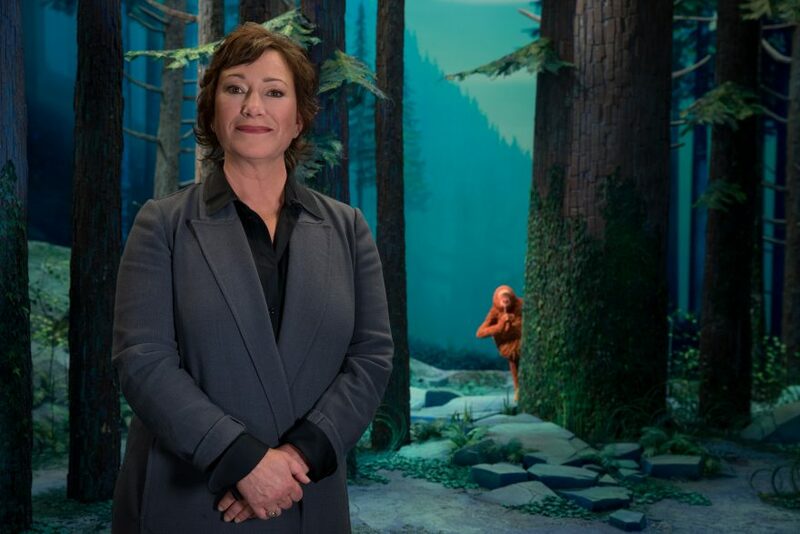 Or talk to Rosemary Colliver, general counsel and head of business and legal affairs for LAIKA Studios, which has played an out-front role in the resurgence of the filming technique. On the last four of the soon-to-be-five feature-length movies created by LAIKA, Colliver helped ensure that every on-screen element—from protagonist to minor prop—didn’t infringe on existing intellectual property. When Colliver joined LAIKA in 2011, after more than 10 years in private practice, the young studio was in production on its second film, “ParaNorman.” It was Colliver’s job to decipher which of the story’s elements and materials were based on original ideas—those believed to be in the public domain, such as characters based on centuries-old literature—and which might be “borrowing” from more contemporary, legally protected sources. For years, Colliver had to compile these narrative elements in a series of PDF files, which would then be reviewed by an outside counsel specializing in intellectual property. In 2016, the department began using its data portal, Shotgun, as a way of streamlining the IP-clearance process. In so doing, Colliver is now able to review element descriptions—for character names, building designs, vehicle models and more—in a matter of seconds. Thirteen years and four acclaimed titles later (with a fifth on the way), LAIKA’s due diligence efforts have become all but ironclad. Still, as the studio has grown, new challenges have found their way to Colliver’s plate. Particularly when it comes to the company’s real estate holdings. When Colliver arrived in 2011, LAIKA, having moved from Portland to nearby Hillsboro, Oregon, in 2007, was already setting its sights on a massive expansion, doubling the size of its production facility and upgrading a new building to house the company’s data center. Then, in 2017, came LAIKA’s biggest investment to date: a new 21,000- square-foot data warehouse designed to hold and secure petabytes—literally millions of gigabytes—of information. In addition to handling contracts and other paperwork, Colliver ensured LAIKA’s data processing complied with the European Union’s general data protection regulation, better known as GDPR. Growing up in a family of television talent—one running generations deep—it didn’t take long for Colliver to catch the Hollywood bug. Maybe I’ll be a writer or producer, she thought; something that fed her love of words and her creative spirit. But it was during a junior year stint at Ireland’s University College Dublin, studying under the tutelage of noted philosopher and Jean Paul Sartre confidant, Richard Kearney, that Colliver’s calling became clarion clear. After graduating from Seattle University in 1998, Colliver attended the Loyola Marymount University Law School, earning her J.D. in 2001. Her foray into entertainment law came in 1999, with the Los Angeles firm Freund & Brackey. Over the next three years, Colliver represented a number of high-profile acts, including the bandmates of Ozzy Osbourne and the estate of late actor, John Belushi. From 2002 to 2011, a stretch that saw Colliver and her family relocate from L.A. to Portland, Oregon, she honed her private practice chops for a trio of firms—Liner Yankelevitz Sunshine & Regenstreif; Stoel Rives; and Tonkon Torp—covering such matters as IP, real estate, construction and litigation. Eager for a change of scenery—and a return to her entertainment roots—Colliver joined LAIKA. Amid the whirlwind of growth that followed, Colliver has found time for nonprofit initiatives, serving as a board member for the nonprofit Mt. Scott Learning Centers and chairing the board for the Children’s Cancer Association. As for the work itself, Colliver has come to see her role through a slightly different prism. For as critical as the processes are, it’s the people—the talents and stories they harbor—that matter most.